When traveling into the wild, there is one piece of advice nearly everyone always tells you and that is to ‘watch your back and watch where you are stepping’. This is a fine example of why you should always watch where you are stepping, this landscape looks inhabited and no life in sight. 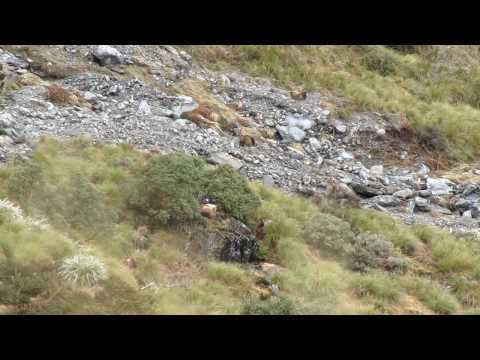 After 10 seconds of looking at the landscape, you will see two dozen New Zealand Tahrs emerge from their perfectly camouflaged resting spots.